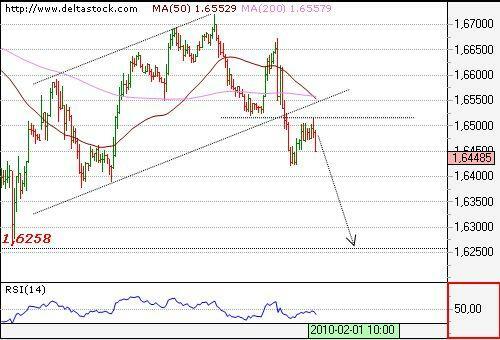 The break below 1.5045 resulted in a fast sell-off to 1.4821 and there are still no signs, that the negative bias has changed, so one more test of the 1.4801 support is to be expected today. On the bigger picture the pair is still in the 1.48-1.5150 range and only a break below 1.48+ will set the focus on 1.4620 and at the main support at 1.4450. 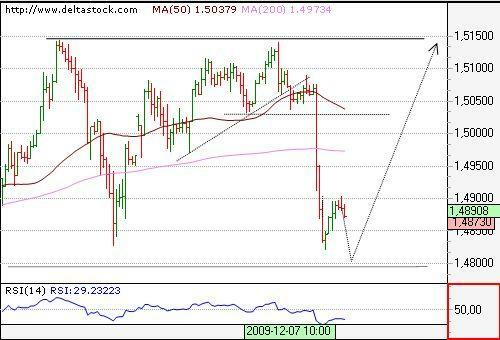 We favor the idea, that current range will continue with the next upward swing for 1.5146. 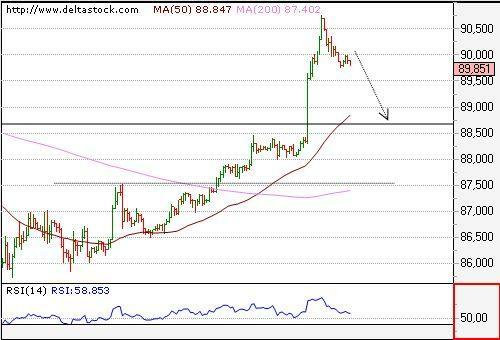 The break above 88.75 has transformed the bearish bias into bullish and currently the pair consolidates below the recent peak at 90.77. A new range has been formed in the 88.50-92.40 area and it is likely to expect a test of the lower boundary at 88.50. The pair reversed at 1.6670 and broke through the dynamic support at 1.6519. The overall bias here is negative for 1.6380, en route to 1.6250 with an intraday resistance at 1.6519.